The holidays have ended and things have simmered back down. I finally have a little time to blog some recent favorites. First, my family. My insane, crazy, chaotic, annoying, hilarious, perfect perfect family. 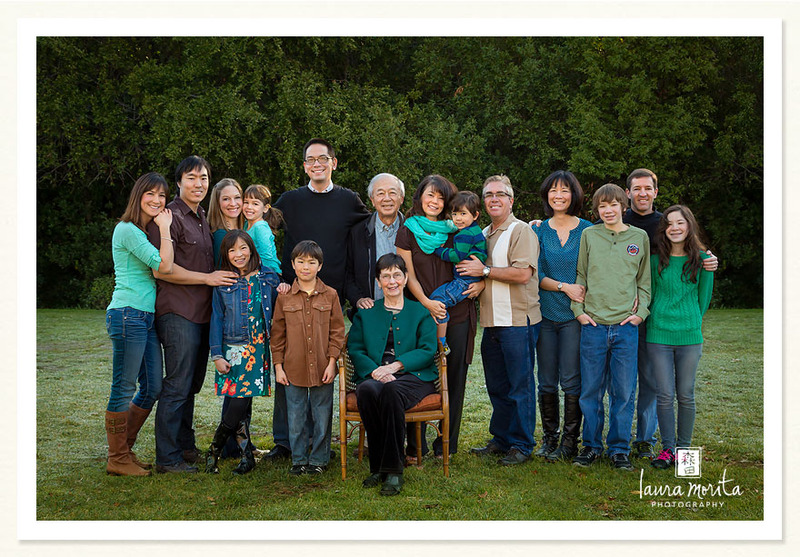 This Christmas the entire Morita family converged upon the same area all at once, for the first time ever. We have never gotten a family picture that included every member of our family…until now. And this was no easy task. We had to figure out a color scheme. We needed to coordinate without appearing matchy matchy. We needed a location that accommodate our big family. We needed a miracle. And um, yeah, it helped to have someone who just so happens to know how to photoshop, as multiple head swaps were in order. Go me! The favorite family member is on the far left, in case you were wondering. Dang, I love those people. Every single one of them. I am beyond blessed to have such an amazing (and beautiful) family. They make me whole. Getting pictures of my kids lately has been entirely tricky. They know all my tricks, and simply aren’t interested in supporting my photographer obsession. Shame on them. So, I get what I can get, and sometimes I get lucky. 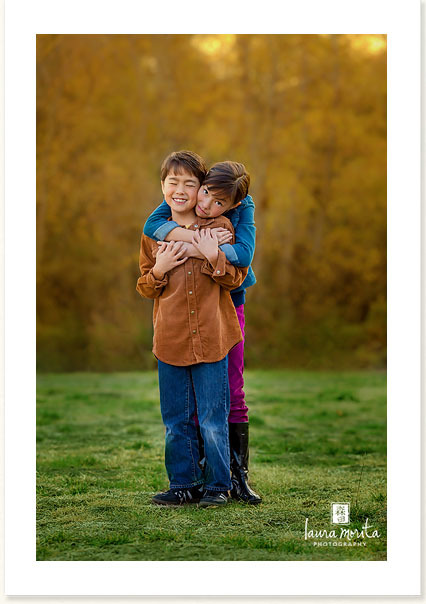 If it looks like my son is enjoying being hugged by his sister, trust me when I tell you, he does not. Lol. He’s more cringing with a smile on his face. 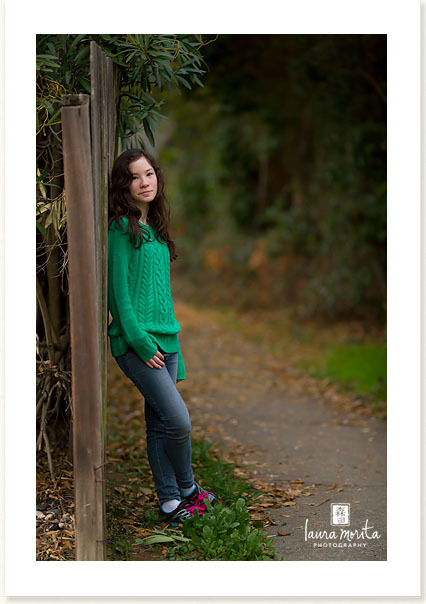 And since I like to show off my picture editing, here’s a little before and after. The grass was a little icky, seeing that it hasn’t rained here in, oh, I don’t know, forever. Here’s how my son really feels about holding his sister’s hand. The pure torture I put him through. And another before and after. This was mostly edited using Adobe Lightroom. I love how easy it is to edit one image, getting the color how I want it, and then syncing all my other images with the click of a button. 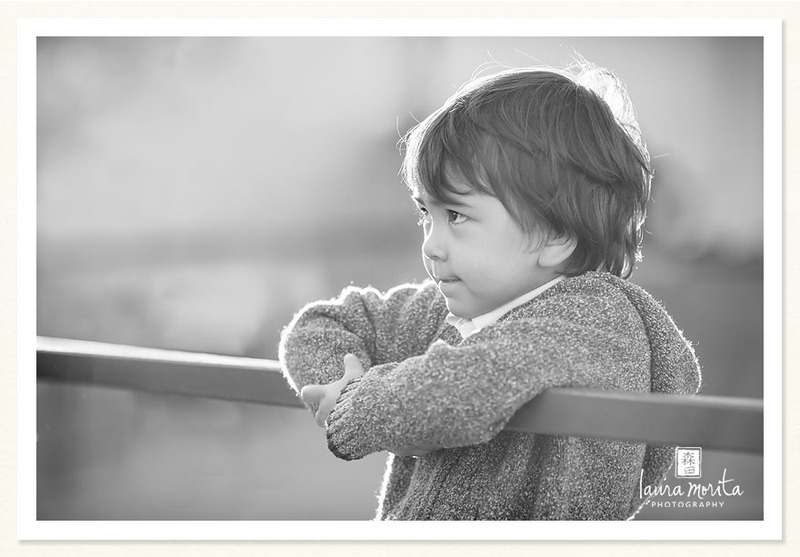 Lightroom has sped up my workflow tremendously! I only brought this one into Photoshop to add the tree on the right. I just felt like it helped frame them better. My brother and his daughter. Father and daughter. Perfection. When he blew the bubble, I was expecting it to be much much bigger. My niece’s reaction simply didn’t seem appropriate for the size of the bubble. See what I mean? I think my Photoshop tricks payed off here, wouldn’t you say? 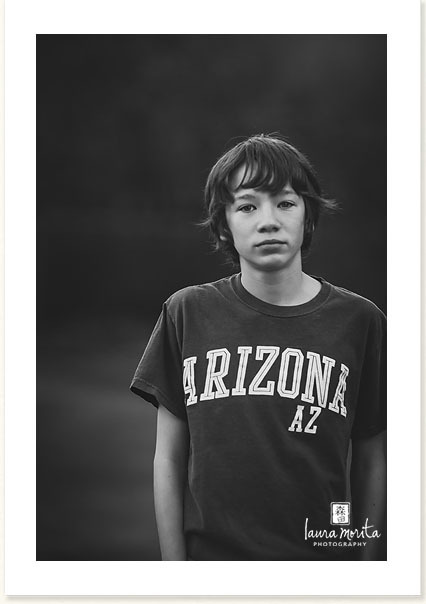 And one of my kids where for whatever reason, they just cooperated. Wait…was I begging? Threatening? Bribing? Yeah… probably. I’m hoping to be better at blogging this year. We’ll see how that goes, seeing that my kids have ALMOST put an entire boycott on me and my camera. 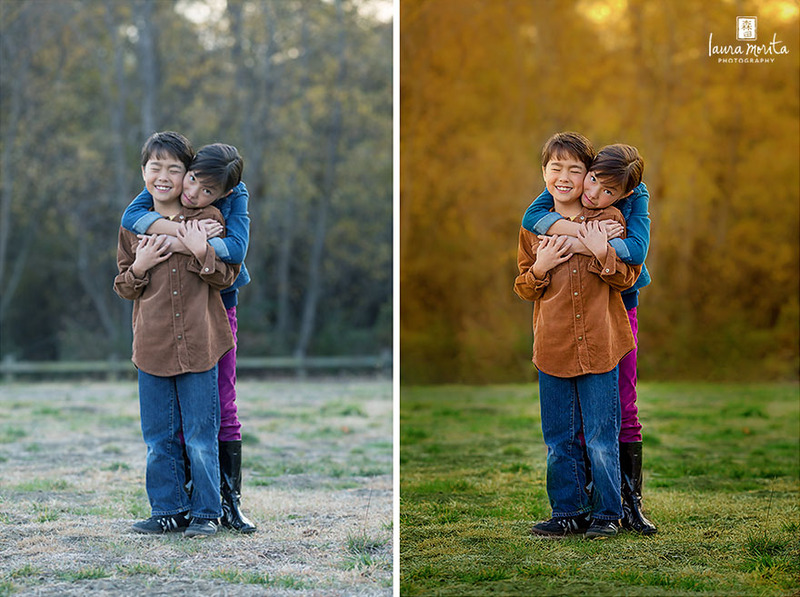 If you are looking at these images and wanting to get color like I do, then you should definitely check out my SHINE workshop. 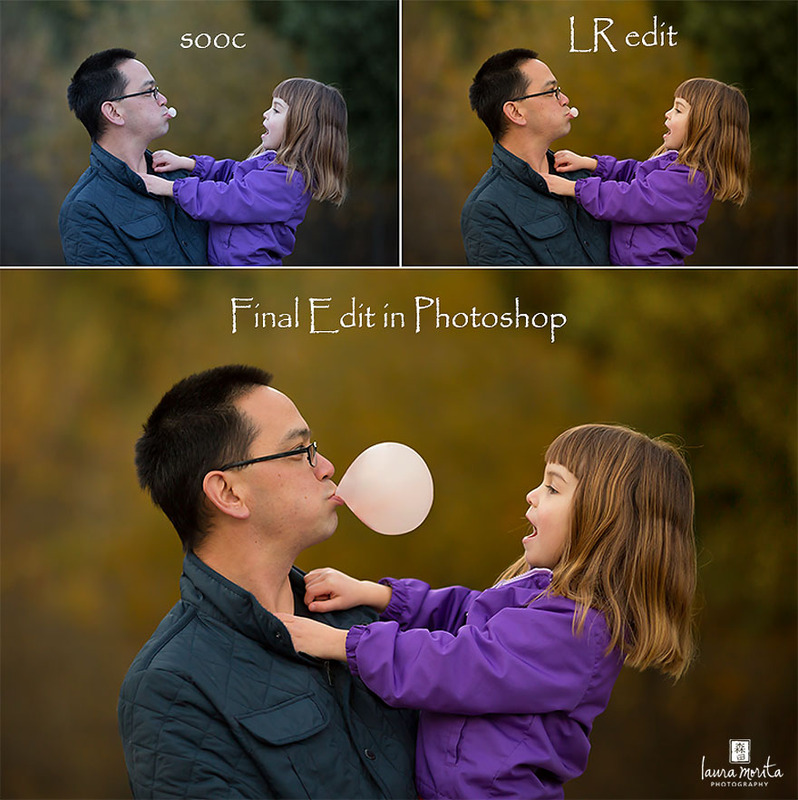 You’ll learn how to better use adobe photoshop and lightroom. I promise. For more information, CHECK IT OUT RIGHT HERE. And just in case I don’t get better at blogging, you can always follow me on Facebook! You are auch a thorough teacher, have such a heart for sharing your skills and a love for photoshop that editing workshops are the perfect fit for you! your family is just beautiful, and thanks for the mini editing tutorial as well 😉 you rock! You have such a beautiful family! 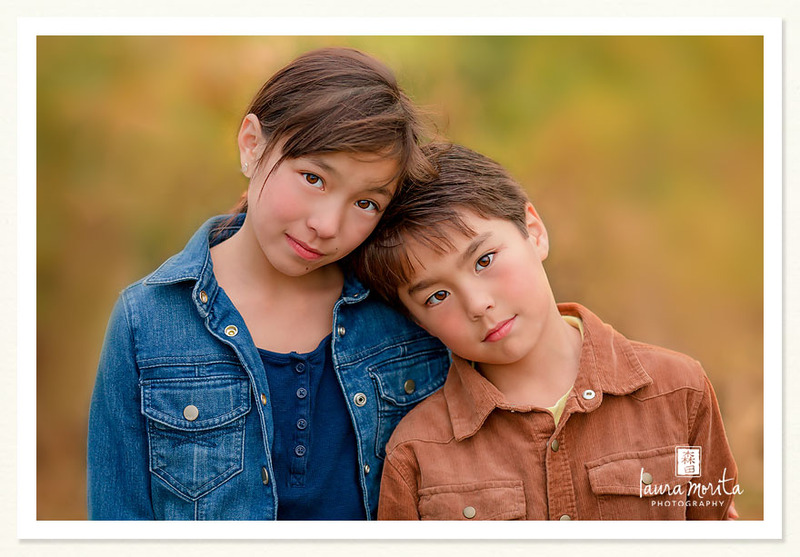 I love how you include that your children aren’t always cooperative Love your tips and these images are just gorgeous! I love this post so much. I wish I had a big family group shot of my crazy fam! Your processing is lovely too! Wow Laura. You are a photoshop wizard! Every single edit looks so real. Amazing! You have such a lovely family! 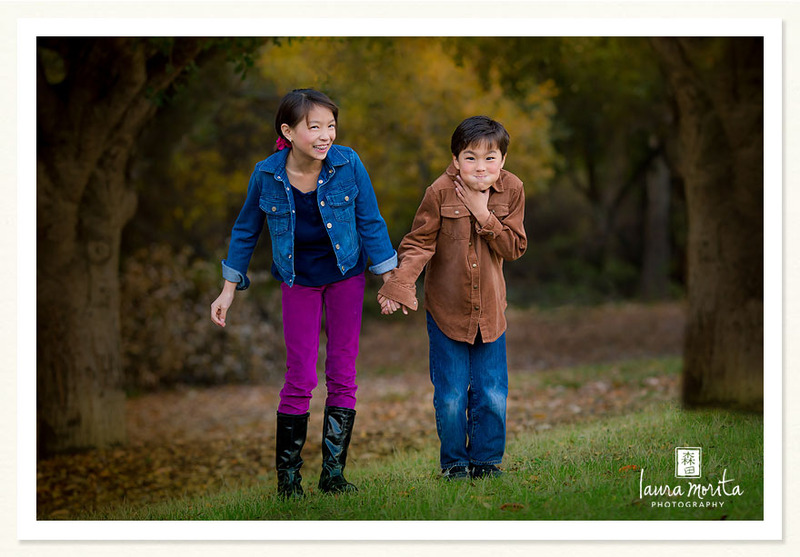 They are so lucky to have you photograph these lovely memories! You have a gorgeous family, full of personality! I’d love to spend a day with your crazy bunch!